Hello, my lovely friends! Happy April! It's been pretty gloomy around here lately, reminding me that "April showers bring May flowers," and I am hoping that's true!!! 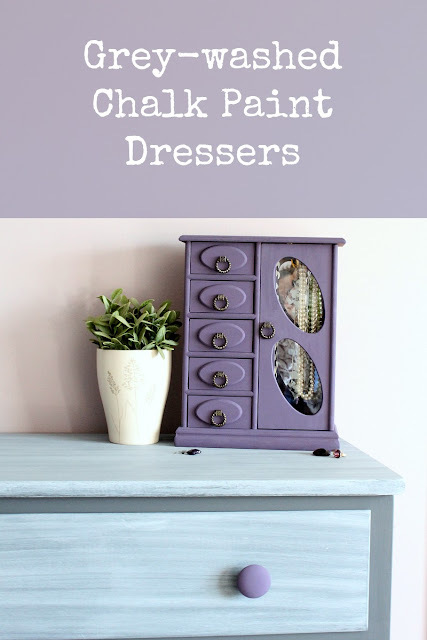 Thankfully, it's Monthly DIY Challenge time which always cheers me up! Each month, a group of friends and I choose a challenge item or theme, and we each create something unique! This month's challenge was an interesting one! Modern Masters sponsored the challenge, and we each used one of their Metal Effects kits to create something with a patina finish. 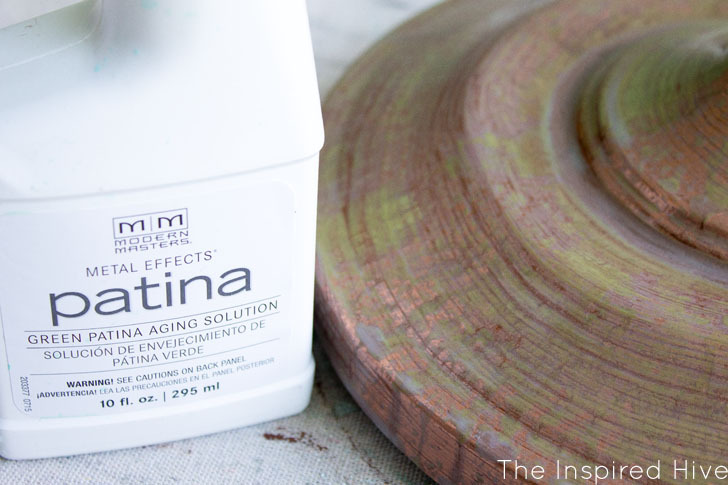 The kits include a primer, a metallic paint, and a spray that oxidizes the metal. 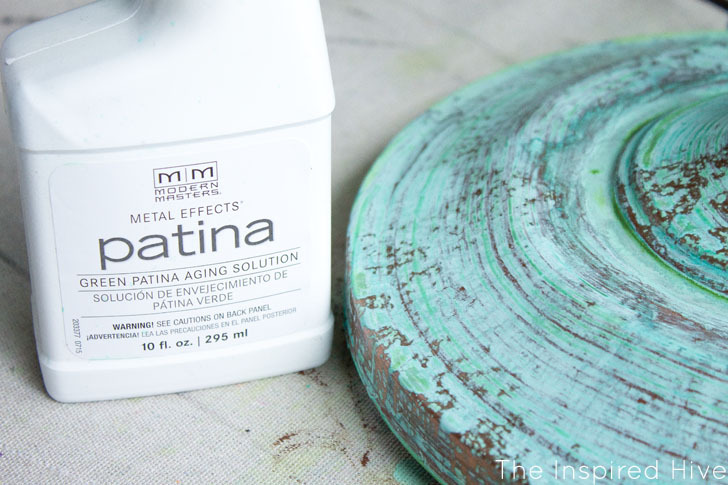 They have three kits: rust on iron paint, green patina on copper paint, or blue patina on bronze paint. These kits definitely required that we think outside of the box and be creative, and I love what we each came up with! This post contains affiliate links for your convenience. This post was also sponsored by Modern Masters. All ideas and opinions are my own. If you would like more information on sponsoring one of our Monthly DIY Challenges, please reach out to me using my contact form. You can also view my full disclosure policy here. 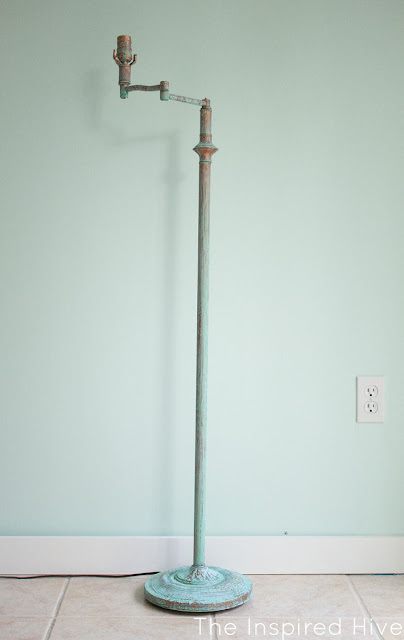 I thought the aqua green color of oxidized copper would go well in our new family room/play area. 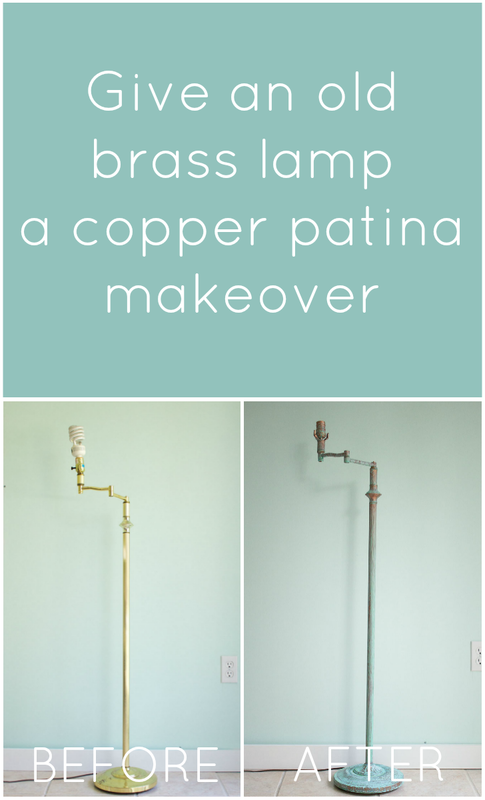 When we moved into our house, the previous homeowners left a couple of old brass lamps in the basement that just screamed that they were from the 1980-1990's era. I intended to donate them, but I'm glad they were still sitting there because they ended up being perfect for this project! 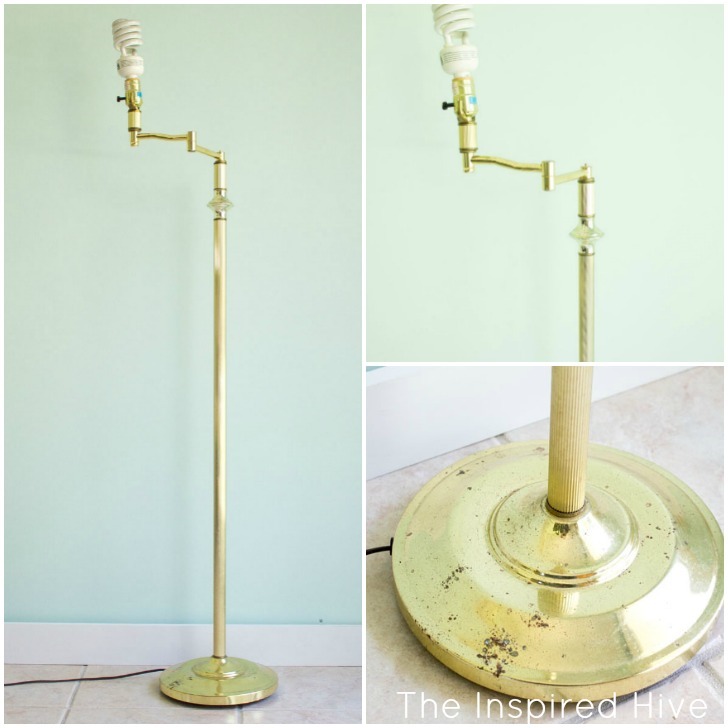 We needed lighting for our living room, and I was intrigued by the idea of giving one of these lamps new life! The kits include everything you will need for this project, including brushes and stir sticks, and are available at HomeDepot.com. 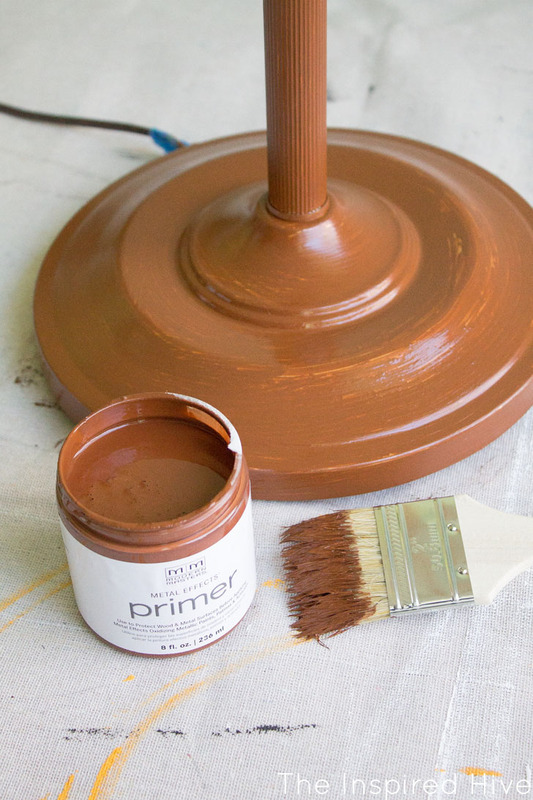 First, I gave the lamp a coat of primer with the included brush. I let it dry for 30 minutes, and then applied a second coat. Then, as the instructions stated, I waited 12 hours before the next step. Once the primer was dry, I used the second included brush to apply the copper paint. I felt that the paint had good coverage and did not need a second coat, but if you need a second coat, let the first coat dry before applying the second coat. And here it is after drying... so cool! And here it is in our new living room/play area! Overall, I think it turned out pretty well. There is definitely a little bit of a learning curve with this product, but I think if I used it again I would have an even better outcome! I am actually excited to try the rust kit as well. I think it would fit my more industrial decorating taste that is seen in almost every room in the house other than this one! The Metal Effects green patina kit was the perfect way to give my old, ugly, brass lamp a new look! 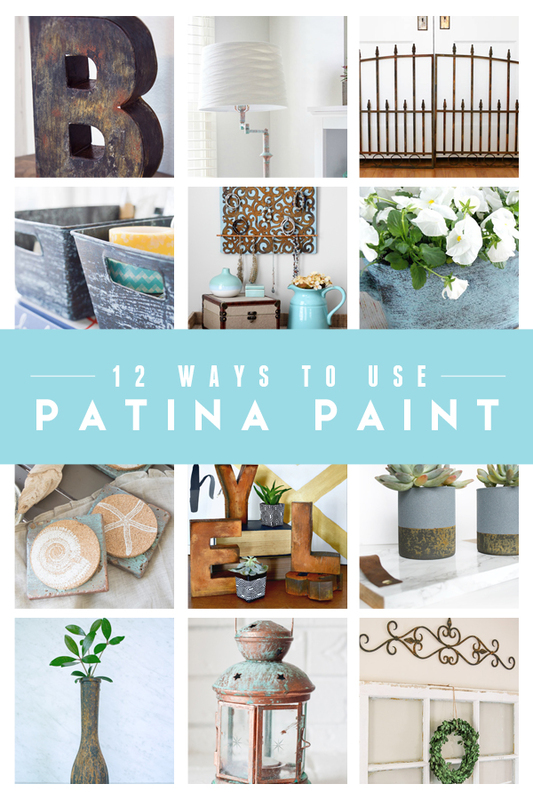 Be sure to check out the other creative patina ideas at my friends' blogs below! We've got a great mix of blues, greens, and rust! 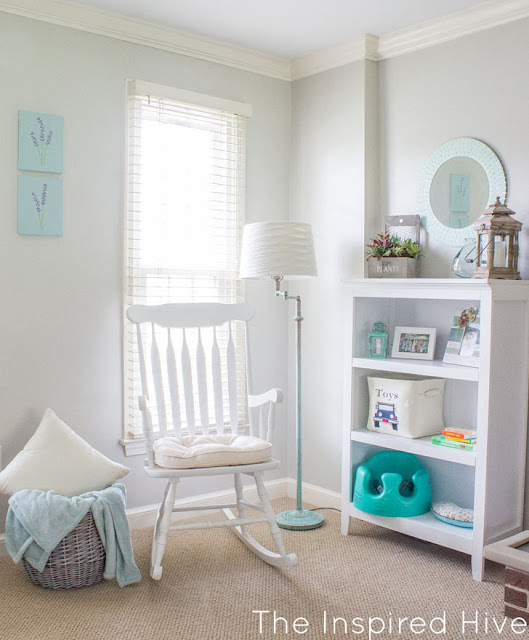 You can also check out the Modern Masters blog for detailed instructions and more creative ideas! I really love how this turned out Nicole! 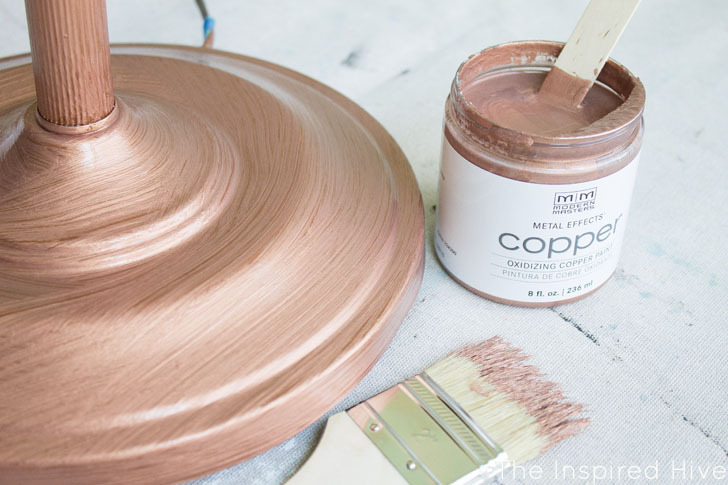 The green color goes so perfectly with the copper! 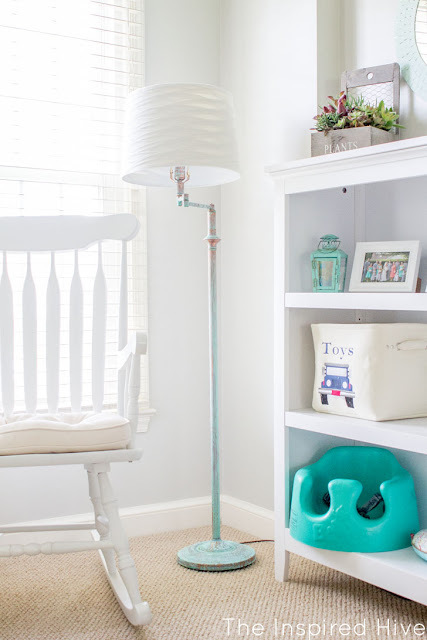 I love everything about this lamp! That patina is so beautiful! Awesome job, friend! This turned out so pretty! Love the colors! This is awesome! Way to show that 80's lamp who's boss! I just LOVE how this lamp turned out! 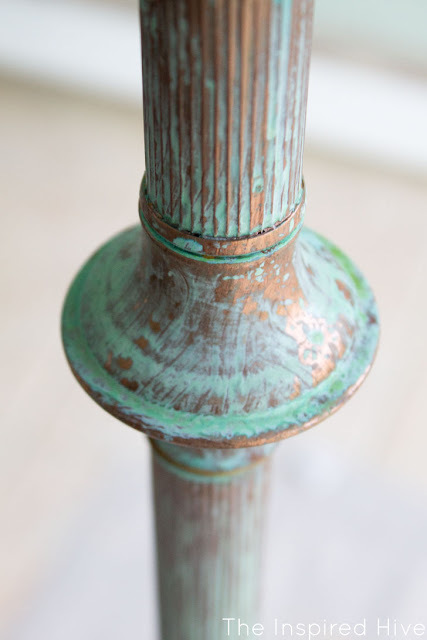 The aged green and the brilliant copper... it's all just perfect and goes so well with your decor! Oh my, this is GORGEOUS!! I LOVE the color, it's perfect in your living room!! So much better than the brass! 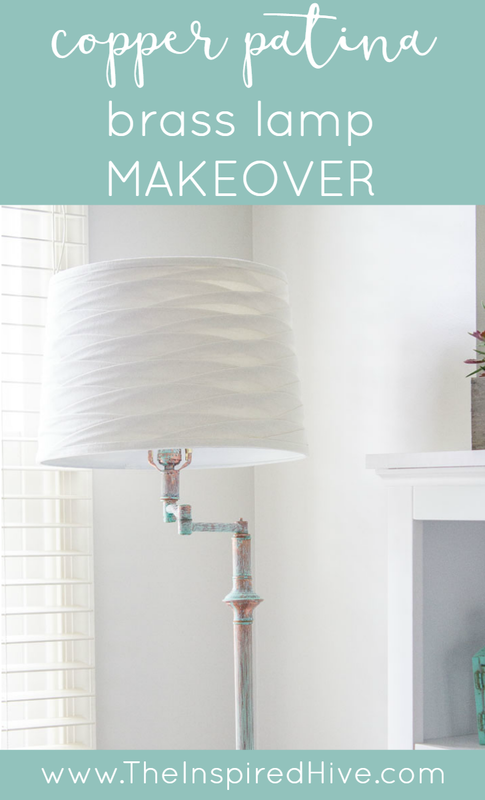 I NEVER would have thought to use this on a floor lamp like that, it looks sooo much better! 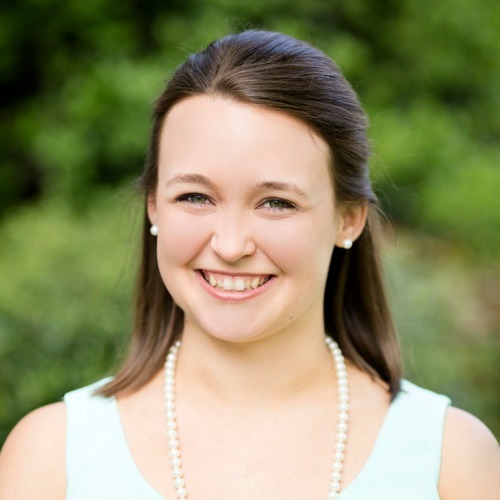 Way to go Nicole!